‘Ranging across space and time,’ according to jury chair Kwame Anthony Appiah, the 2018 Man Booker Prize shortlist includes three authors from the UK, one from Canada, two from the United States. 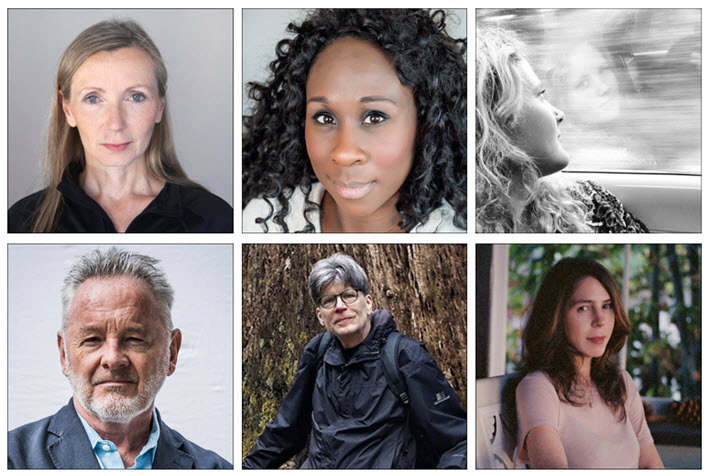 In drawing its six-author 2018 shortlist from the Man Booker Prize for Fiction longlist—on which Publishing Perspectives reported here in late July—the jury has given the nod to four women and two men. Three are from the UK, two are from the United States, and one is from Canada. Critics of the prize’s evolved eligibility may find it concerning that a third of the shortlist is from the States, particularly because US writers have won the Booker for the past two years, Paul Beatty in 2016 and George Saunders in 2017. Indeed, the longlist included a third American, but Nick Drnaso’s graphic novel Sabrina (Granta Books) didn’t move to the shortlist. Two of the 2018 shortlisted novels are from independent publishers, Faber & Faber and Serpent’s Tail. Three titles are from Penguin Random House (two from imprint Jonathan Cape and one from William Heinemann). One is from Pan Macmillan’s Picador. 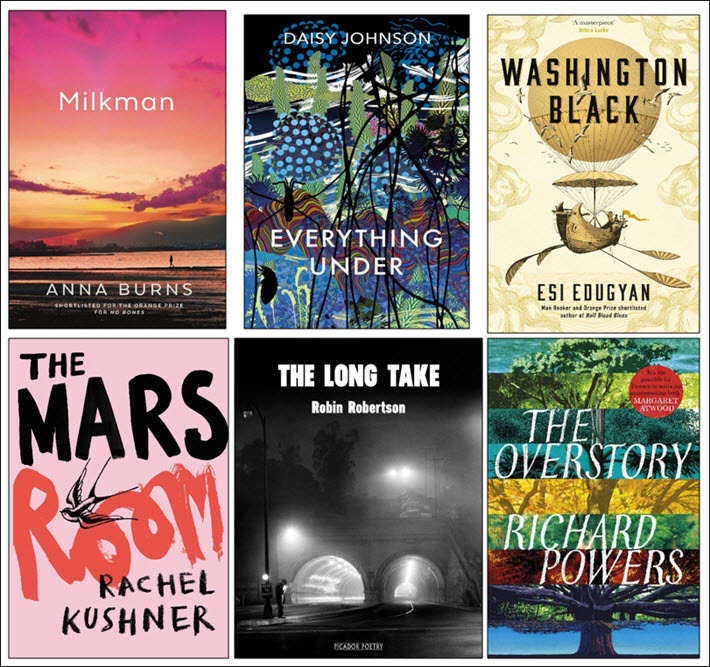 Of two debuts on the list, one is by the youngest author to make the Man Booker shortlist: the UK’s Daisy Johnson is 27. Until today, the 2013 winner Eleanor Catton had held the honor for most youthful of shortlisted authors. The other debut, from the UK poet Robin Robertson, is a novel in verse with photographs, the first work of its kind to be a contender. 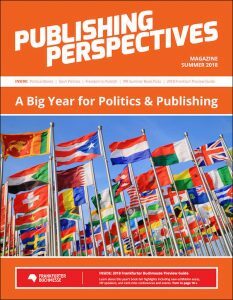 The shortlisted authors and their books were named this morning (September 20) in a news conference at the offices of prize program sponsor, the Man Group, and jury chair Kwame Anthony Appiah has stressed in his prepared comments that language and stylistic ingenuity rise to the fore in the titles selected. In his statement of the jury’s overall rationale, Appiah is quoted, saying, “All of our six finalists are miracles of stylistic invention. “In each of them, the language takes center stage. And yet in every other respect they are remarkably diverse, exploring a multitude of subjects ranging across space and time. “From Ireland to California, in Barbados and the Arctic, they inhabit worlds that not everyone will have been to, but which we can all be enriched by getting to know. “Each one explores the anatomy of pain—among the incarcerated and on a slave plantation, in a society fractured by sectarian violence, and even in the natural world. But there are also in each of them moments of hope. The 2018 winner will be announced on October 16 in London’s Guildhall, at a dinner. The ceremony will be aired by the BBC, the prize’s broadcast partner. 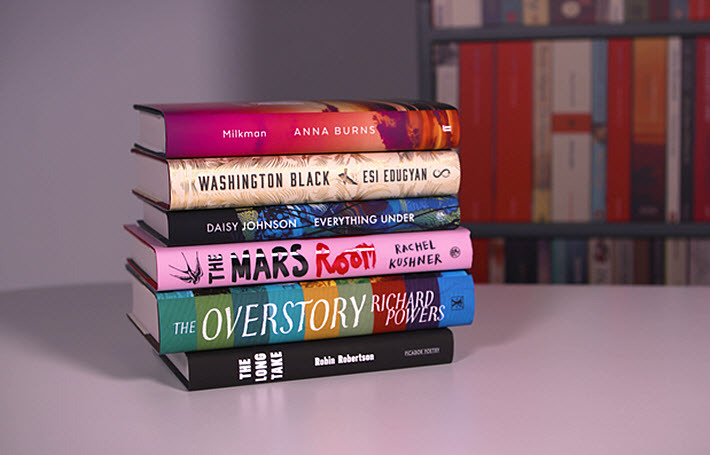 In his own statement released at the news conference this morning, Luke Ellis, CEO of the sponsoring Man Group for which the prize is named, has said, “The Man Booker Prize continues to evolve over time, while staying true to its principle of celebrating literary excellence. The shortlisted authors each receive £2,500 (US$3,287) and specially bound editions of their books. The winner receives a further £50,000 (US$65,746) and can expect instant international recognition. The foundation understandably likes to point out that in the week following the 2017 winner announcement, sales of Lincoln in the Bardo by George Saunders increased by 1,227 percent. Bloomsbury has to date sold more than 230,000 copies of Lincoln across all formats, the foundation reports, 70 percent of those sales coming after the win. The Man Booker Prize for Fiction is open to writers of any nationality writing in English and published in the UK and Ireland.